Two-Day Classroom or Four half-days: Preview the workbook immediately! As a manager and team leader, you are responsible not only for the performance and development of your team, but you are also responsible for bringing together and implementing successful projects. Do you have the necessary skills to maintain deadlines, budgets, and deliverables? 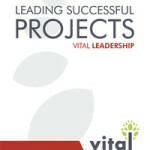 Effective managers and team leaders have teams that are responsible for projects that have a direct and significant connection to the bottom line. Your ability to lead projects and participate knowledgeably on a project team will directly affect the success of your organization. 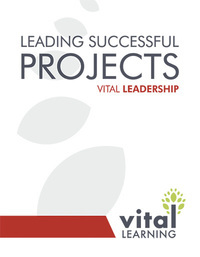 The Vital Learning Leading Successful Projects™ course provides the structure, processes, and tools necessary to understand the art and science of project management. The program identifies the critical phases of every successful project, examining each phase to ensure project control, progress, and successful completion.